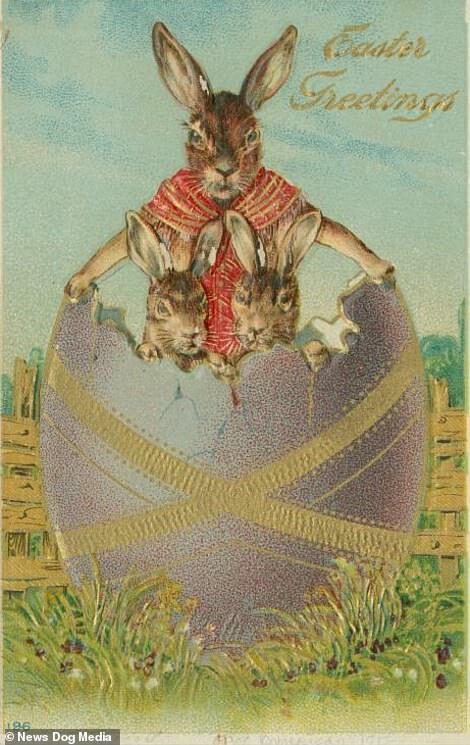 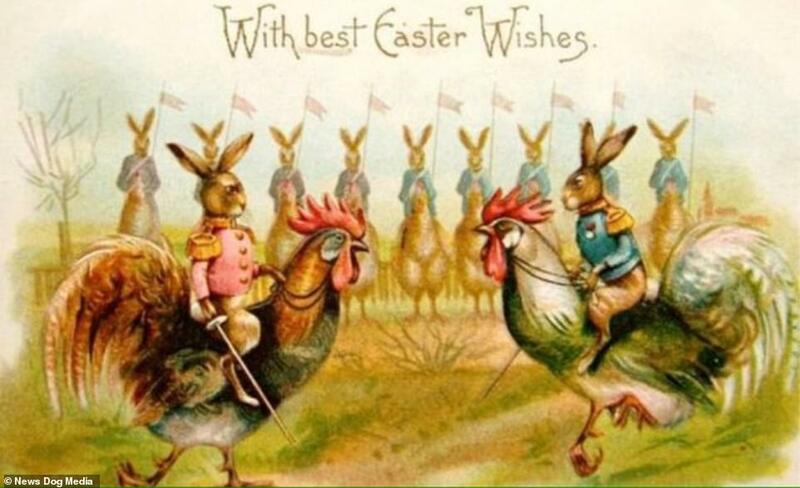 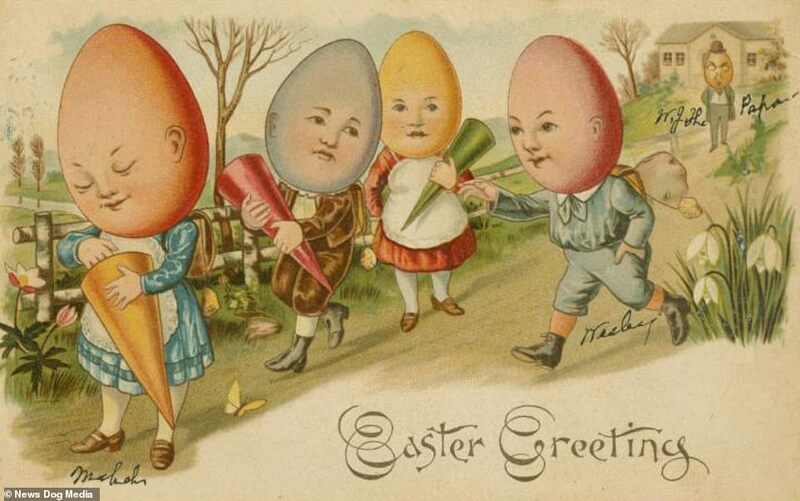 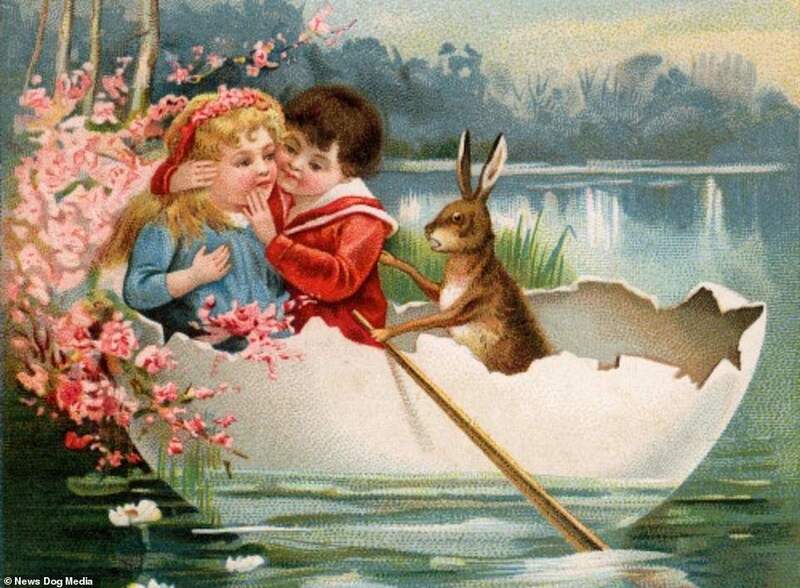 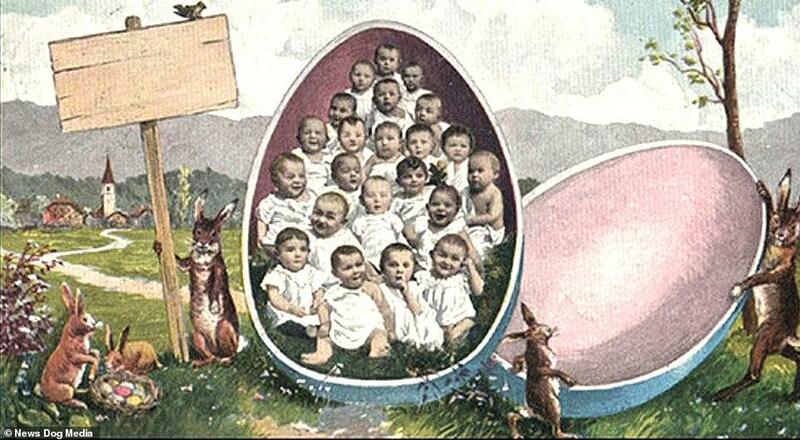 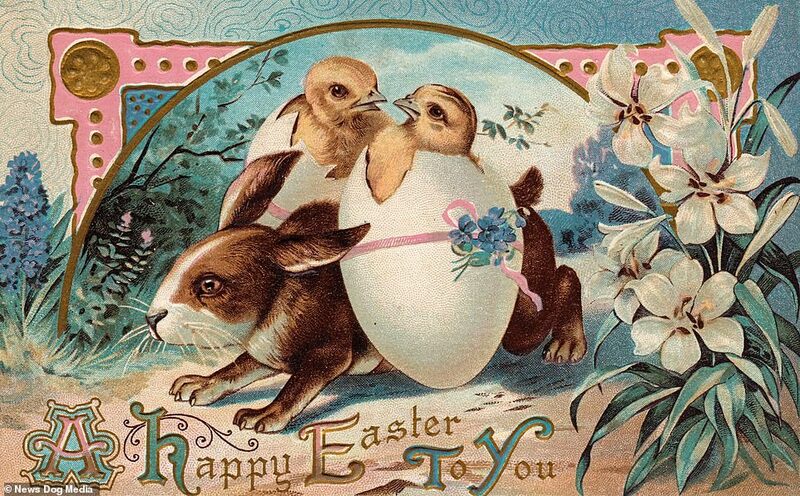 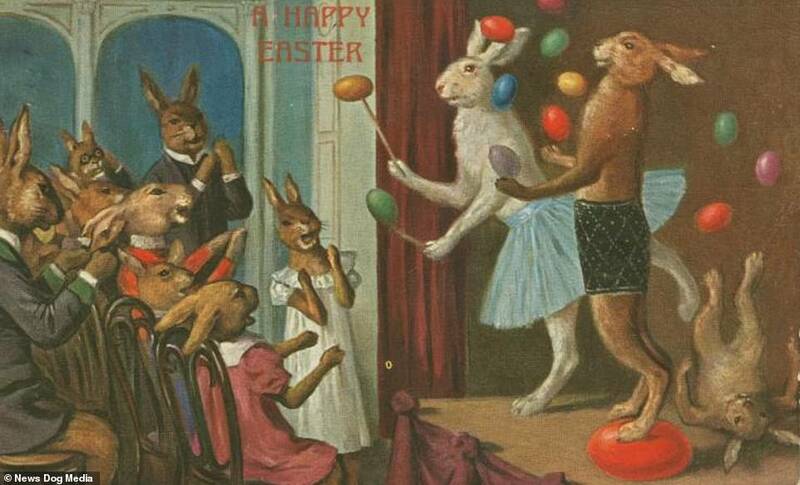 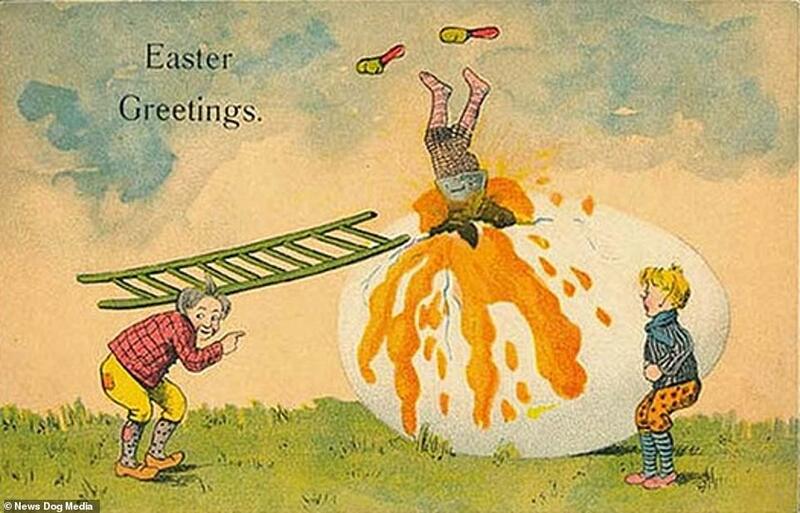 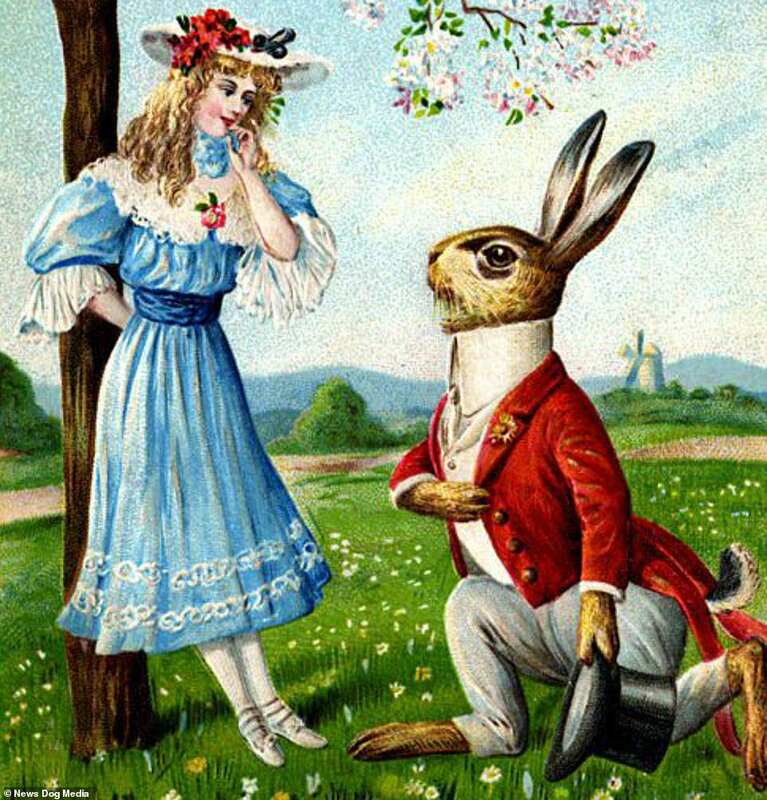 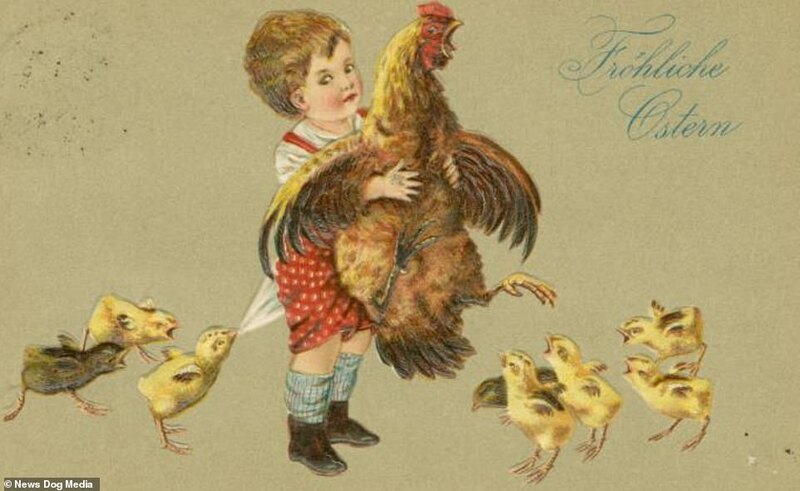 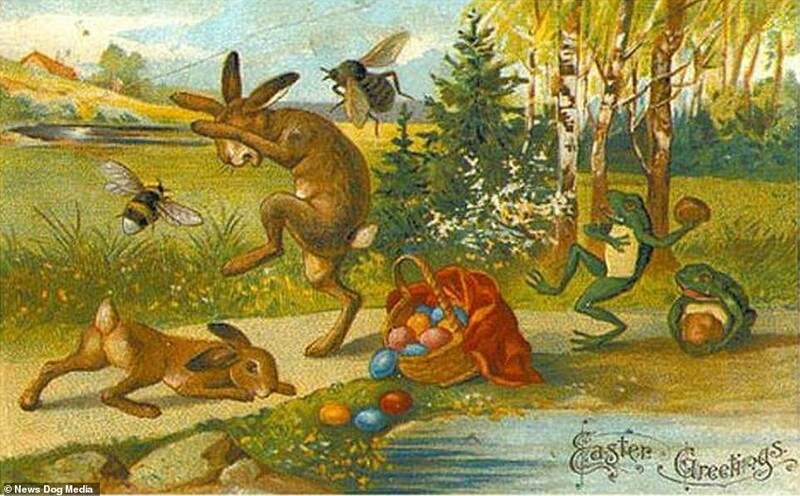 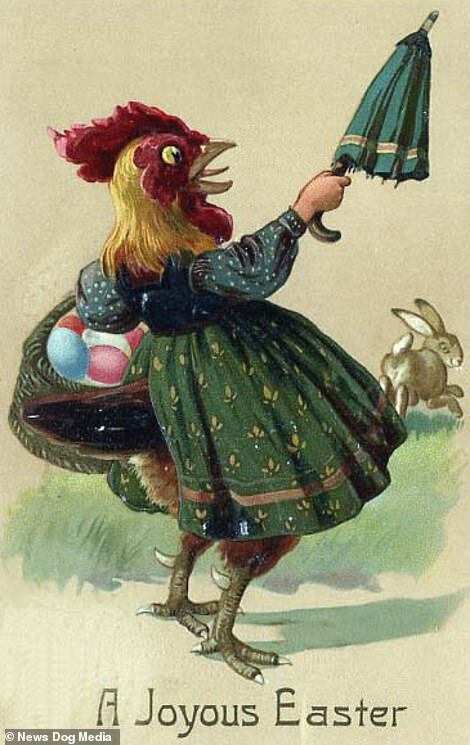 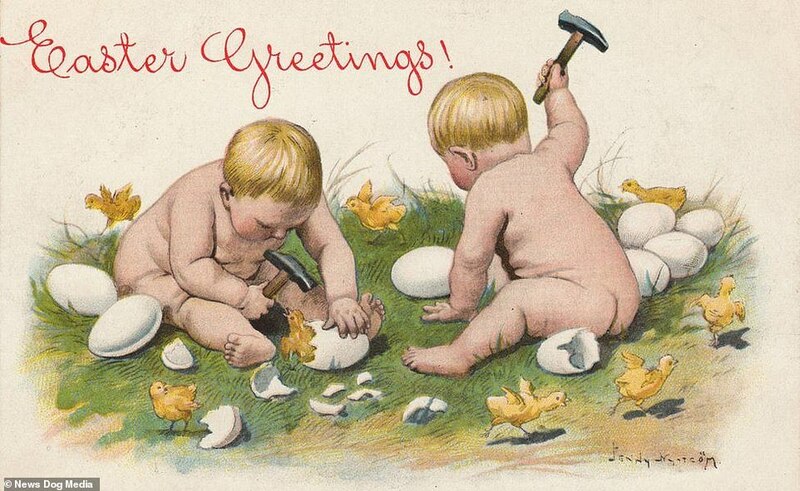 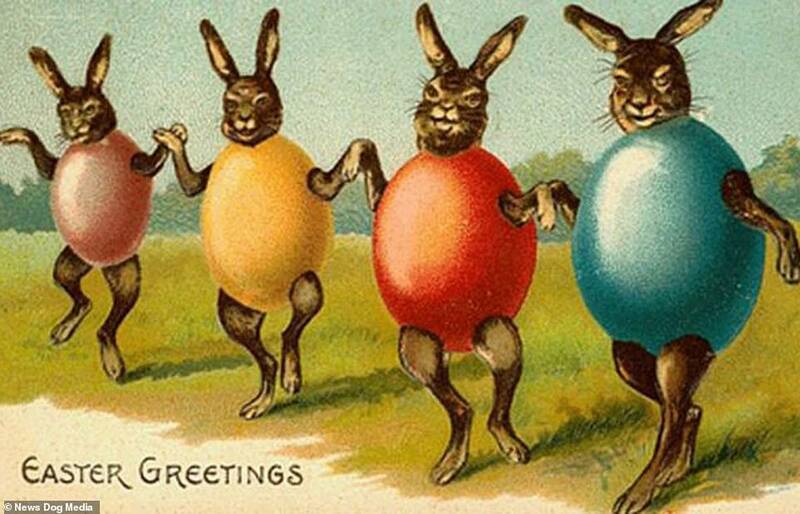 A murderous rabbit, terrifying children with egg-shaped heads and a woman being whipped – these are the very creepy Easter cards beloved by the Edwardians. 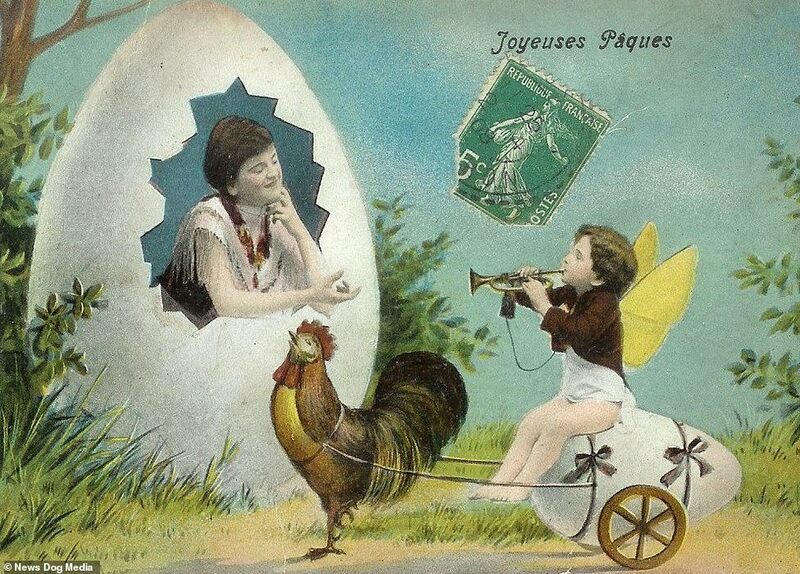 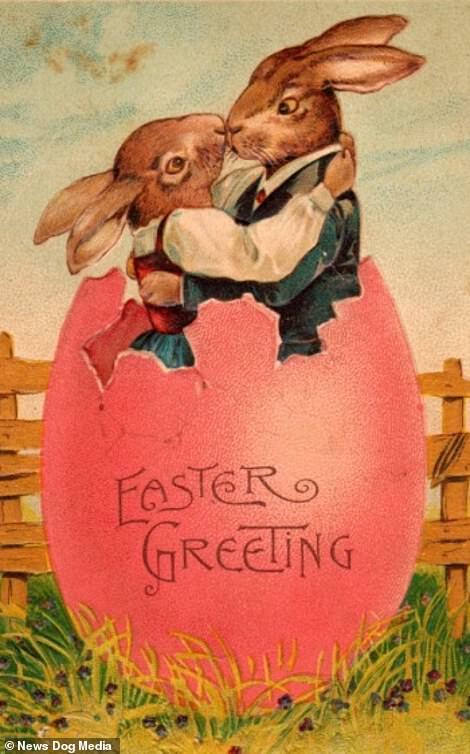 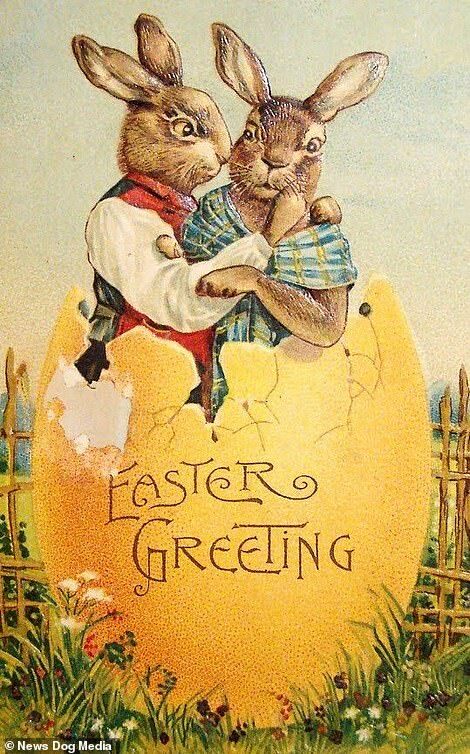 One early twentieth century card shows a human rabbit flirting up a storm with a besotted young girl – whilst a 1906 postcard has a petrifying family of human eggs on the cover. 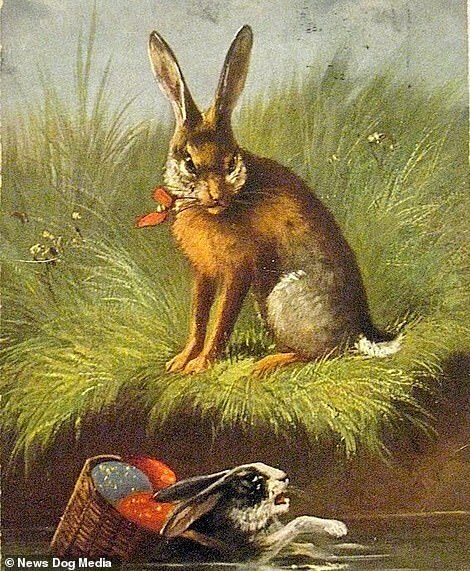 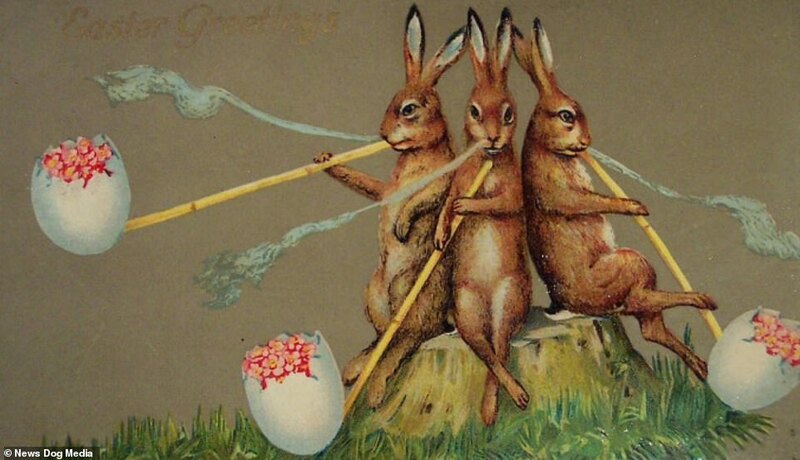 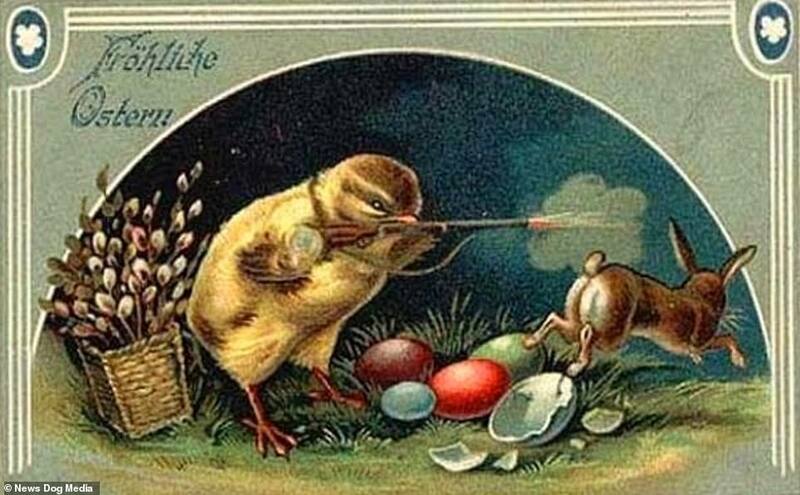 A late nineteenth century card shows a cruel bunny watching another rabbit drown with the caption ‘Easter Greetings’ – and another German postcard from the 1910s features a vicious baby chick shooting a passing hare with a rifle. 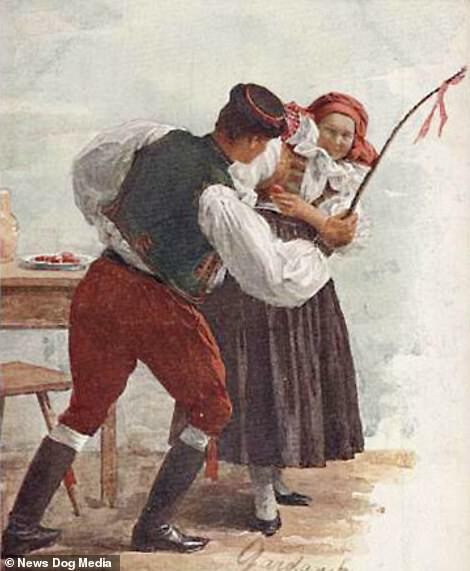 According to tradition, the spanking may be painful, but it’s not intended to cause suffering. 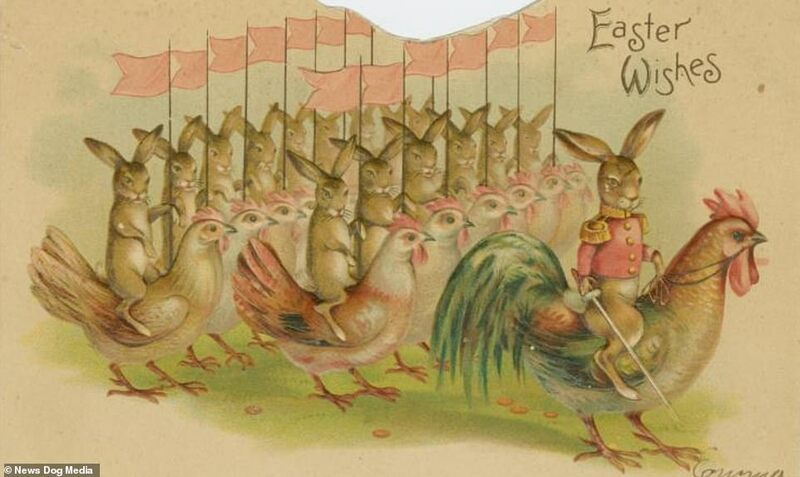 The concept of posting Christmas cards was embraced immediately by the public and it seemed only natural to people that they do the same for the next Christian festival which followed – Easter. 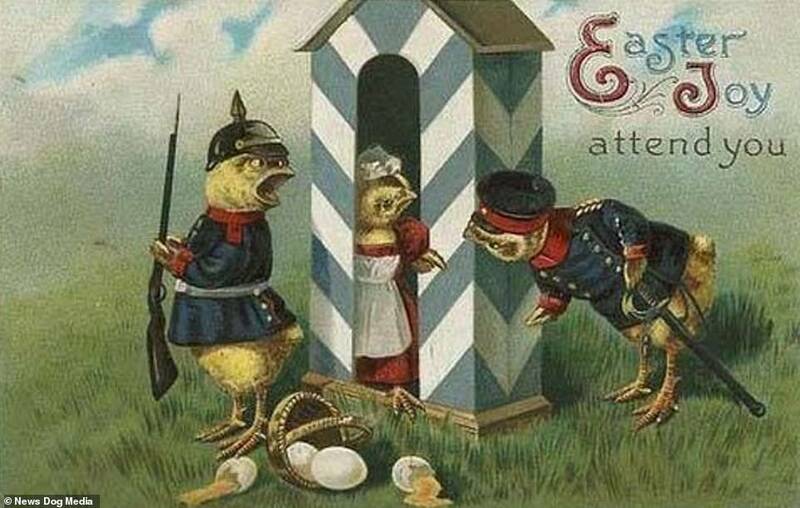 This was an age when post-mortem photography, touring ‘freak shows’ as well as paraphernalia from these shows were extremely popular.